Motor vehicle crashes are the number one cause of unintentional deaths of children under 16 years of age in the United States. 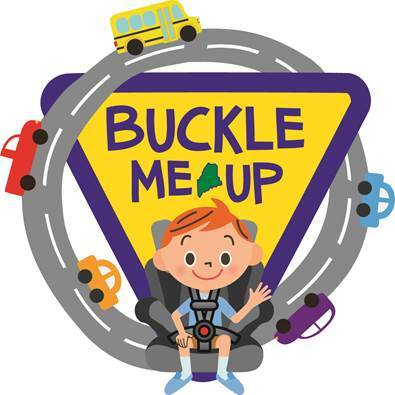 The proper use of child restraints (i.e., car seats, booster seats, seat belts) is the most effective methods available to prevent fatalities in a motor vehicle crash. Upwards of 3 out of every 4 children in child restraints are not properly secured, some not restrained at all. Only consistent and correct use of child safety seats will offer the protection your child needs. There are many different types of child safety seats (CSS) on the market today. Car seat manufacturers are required to provide safety restraints that meet Federal Motor Vehicle Safety Standards (FMVSS), to ensure good protection for your child when used correctly. Looking for the “right” safety restraint? To get the “right” CSS, choose a seat that fits your child and your car, and be sure to read the instructions carefully, and use the seat correctly on every trip. There are several types of child safety seats, and car seat installation methods for securing these seats to a vehicle. One method is with the use of seat belt systems, lap belts or lap and shoulder belts. Another method is LATCH, which is an acronym for Lower Anchors and Tethers for Children. Nearly every car seat, and most vehicles manufactured since September 1, 2002 are required to have the LATCH system. Use the vehicle owner’s manual for location of LATCH in your vehicle and additional user information. Never combine installation methods, use seatbelts or LATCH but never both together. Exceptions can only be made if it states specifically to use both in the car seat owners manual. The best method to use for car seat installation is the method you understand and can install correctly every time (see the four easy steps below). For information concerning free Child Safety Seat check events or Car Seat Inspection Locations, visit the Car Seat Check Events page or Car Seat Inspection Station Locations page. IMPORTANT, if your family is expecting a baby, plan at least 3 weeks ahead of the due date to have your child safety seat installed in your vehicle. Many babies are delivered within the month surrounding the due date, so being prepared may help eliminate a lot of unnecessary stress. Convertible seats face backwards in a semi-reclining position for children. By law, caregivers must follow the car seat manufacturer's weight and height requirements before turning a child forward facing. Recommended best practice, for greater safety, has children riding rear facing as long as the car seat parameters allow. NOTE: National Highway Traffic Safety Administration (NHTSA) and American Academy of Pediatrics (AAP) both recommend keeping kids rear facing to at least 2 years of age or the maximum weight the seat will go rear facing. Always buckle the seat's harness system securely to hold your child safely in the seat. The harness strap must be snug, with no excess to pinch the harness strap at the child's collarbone. Secure the child safety seat with a seat belt system OR LATCH. Anchoring the seat properly is critical. A seat that is not secured properly to the car can tip over, slide sideways or, in a crash, be ejected from the car. The seat belt or lower anchors should be tightened so that the restraint moves less than an inch side to side or front to back at the belt path. Do you need your child's car seat checked for correct installation in the vehicle and/or to know if it's the proper seat for your child? View a list of Maine Inspection Locations.